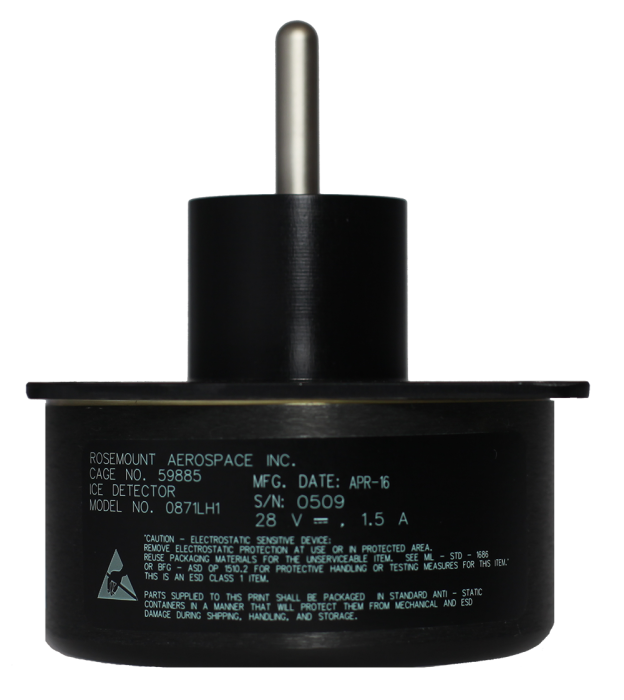 The 0871LH1, manufactured by Goodrich, is a sensor that detects the presence of icing conditions so that appropriate actions can be taken to prevent damage to power and communication lines, to warn of road hazards, or to keep ice off wind turbine blades or a plane’s wings. 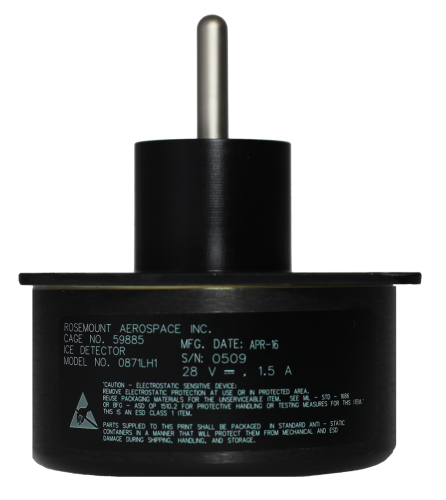 The 0871LH1 uses resonant frequencies to determine the presence of icing conditions. Its main component is a nickel alloy rod that has a natural resonant frequency of 40 kHz. As ice collects on the rod, the added mass causes the resonant frequency to decrease. When the frequency decreases to 130 Hz (or 0.02-in. layer of ice), an internal heater automatically defrosts the sensor. Blade can throw large chunks of ice a considerable distance—an extremely dangerous, potentially lethal situation. Formation of ice can cause unbalanced loading on the turbine’s blades, bearings, and gear box. Ice reduces the turbine’s power output. The 0871LH1 can be used for wind prospecting applications by helping predict the amount of time a potential wind power site may be out of commission due to icing conditions. Additionally, the sensor lets users know when ice is preventing their wind sensors from providing data. Output Format RS-422 output operates at 9600 bps. Commanded Performed at initial power-up. If a failure is detected and verified, the ice detector stops detecting and annunciating icing conditions, the heaters are disabled, and a failure is annunciated. Continuous Hardware and software BIT verifies that internal electronics are functioning properly. Using the heater, how long does it take for the 0871LH1 to defrost itself and resume its detection of icing conditions? This depends on the climate conditions. The maximum heating up time is 25 s.
Can the 0871LH1 be used for either ground-based meteorological applications or in the air (for example, to keep ice off wind turbine blades or the wings of a plane)? The sensor determines if there is an ICE or NO ICE condition. If the sensor is covered in ice, it reports an ICE condition and turns on the heater to defrost itself.